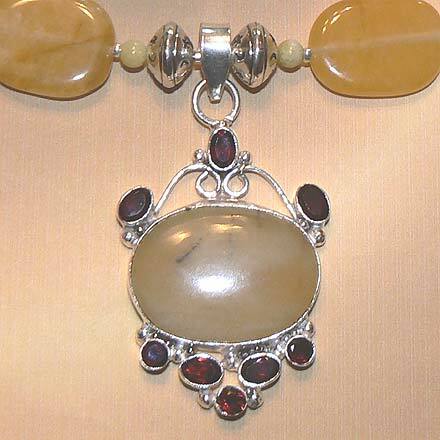 Sterling Silver Jade, Serpentine and Garnet Necklace. See Closeup. Sterling Silver Jade, Serpentine and Garnet Bracelet. 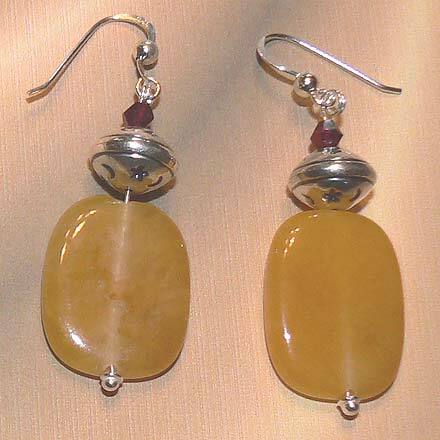 Sterling Silver Jade, Serpentine and Garnet Earrings. 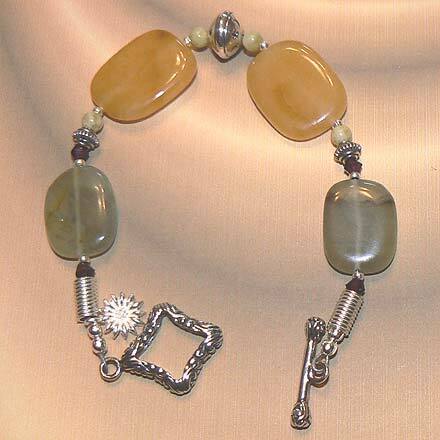 The pendant was called "Butter Jade" as were the tiny 4mm Jade beads, so that's why I gave it this title. 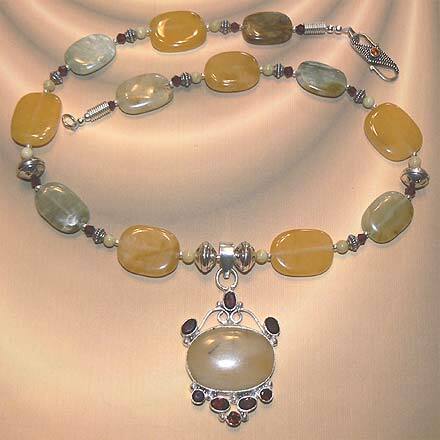 A very happy sort of jewelry set...the pendant has a small garnet set in the clasp. For those who are interested in Astrological significances of stones, Jade corresponds with Libra and Garnet corresponds with Capricorn, Aquarius and the month of January.